Homeschooling is growing in the United States, having shifted from the "fringe" toward the mainstream. In January 2014, the National Home Education Research Institute (NHERI) estimated that there were 2.2 million1 K-12 home-educated students in the US, up from an estimated 1.5 million2 in 2007. According to the NHERI, one of the most common reasons that families choose homeschooling is to "customize or individualize the curriculum and learning environment for each child." Not surprisingly, families with gifted children make up a significant part of the current homeschool movement. If you thought that homeschooling meant having to teach your child all subjects on your own while sitting together at the kitchen table until you drive each other crazy, think again. Modern technology has opened up a world of educational opportunities. Online courses abound in every subject you could imagine. Social media allows homeschool parents to connect and form co-ops where they can share the work of teaching. Some public school districts offer classes taught by credentialed teachers several days a week at a homeschool campus. And numerous educational organizations offer local day classes for homeschoolers, such as the IMACS Homeschool Program. The job of teaching no longer has to be carried out solely by the homeschool parent. Homeschooling also supports the need that many gifted students have to be self-directed learners. As eIMACS student and 2011 US Girls Junior (U21) Chess Champion Rachel Gologorsky said, "I recognized this as an excellent opportunity to have a say in my education." 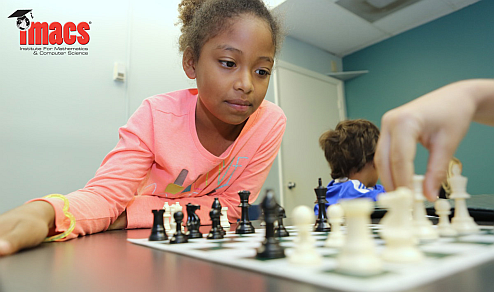 In addition to allowing her to participate in the decision-making process, homeschooling provides Rachel with the flexibility she needs to develop her incredible chess talent, including travelling to national and international competitions. Another oft-cited benefit of homeschooling is the freedom to custom-tailor an educational program that is matched, subject by subject, to a student’s abilities, learning style, and processing speed. Children can fully develop their strongest areas by going as deeply into a subject as they wish or by advancing as quickly as they are able while getting the appropriate level of support they need in other areas. This can be a good fit for many gifted children who, contrary to common misconceptions, are not always the fastest or highest achieving in every subject. Consider what mathematician and hedge fund billionaire, James Simons, said in a recent New York Times article: "I wasn’t the fastest guy in the world," Dr. Simons said of his youthful math enthusiasms. "I wouldn’t have done well in an Olympiad or a math contest. But I like to ponder. And pondering things, just sort of thinking about it and thinking about it, turns out to be a pretty good approach." Today, a student like the young Dr. Simons can explore deep ideas in mathematics on his or her own schedule with self-paced, homeschool-friendly options such as eIMACS and Elements of Mathematics: Foundations. While homeschooling has its advantages, it is not for every family. The benefits described above often come with meaningful sacrifices that should be considered carefully. Many families are already well-served by their local public or private schools. But for those who need a more customized education for any number of reasons, including giftedness, homeschooling today offers many options that make this path highly accessible. Need a homeschool-friendly option to challenge your talented child? The IMACS Homeschool Program is perfect for local South Florida students in grades 1-9. Middle and high school-age students looking for self-paced, online options may enroll in eIMACS or Elements of Mathematics: Foundations. Like IMACS on Facebook for the latest information about our local classes and online courses.